Cryptov8 does acknowledge that for many of the peripheral services and in particular those associated with the crypto market and Blockchain we will need to collaborate with a series of organisations to deliver the best service and best value for our customers. Our collaboration and use of open banking is fully supported by the Payment Services Directive 2 (PSD2) and the UK’s own OpenBanking initiative. Blockchain as a technology is built using the same principles. Cryptov8 will be launching a series of tools, products, incentives and the CRV8 token will give our customers’ access to those assets. Blockchain technology, the concepts of public addresses, private keys, exchanges, wallets, ICOs, gas limits, ERC-20, decentralisation can be baffling and confusing. Cryptov8 wants to act as the broker for our customers education. A series of free online educational material will be made available for those who open a cryptocurrency account. Combined with incentives for money transfers, this will give our customers an easy and low-cost access point to the cryptocurrency market. 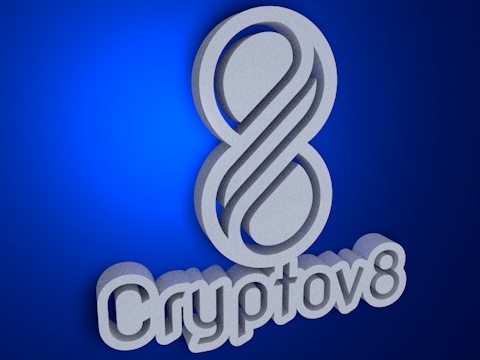 Whilst Cryptov8 plans to form its own fiat currency gateway Cryptov8 will provide attractive foreign exchange rates for CRV8 token holders and will apply preferential payment fees for cryptocurrency related transfers. a method of payment with their debit card. choice with no awareness of the currency used by the customer. Cryptocurrency account holders or CRV8 token holders in the traditional banking space. Secondly, our customers who are crypto account holders and CRV8 token holders will have access to preferential interest savings products, again rewarding them for their activity in the market. Account portal. In other words, a customer will see the fiat balances held at the bank alongside their crypto balances. As a bank, Cryptov8 will provide a secure, encrypted, private storage areas to allow our customers to store the private keys alongside other important crypto related information. 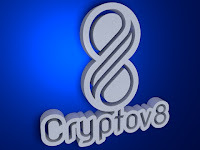 As previously mentioned, Cryptov8’s primary objective is to serve its customers, by providing them with great customer service and meeting their ever-increasing expectations. Whilst it is our intention to acquire technology to run the bank, this will inevitably incorporate a number of integration points to other systems and services. innovative organisations. Cryptocommunic8 is a cognitive learning bot that will be present inside a customer’s online or mobile banking portal. customer in a web chat type way asking questions of the customer and as a customer answers those questions it can complete the necessary application process in the background.